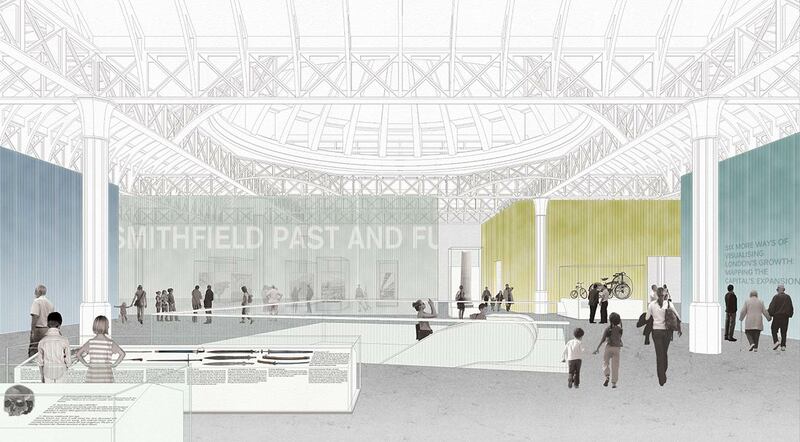 As the Museum of London shortlists design concepts for its new site in West Smithfield, we catch up with the museum’s director Sharon Ament about how the new space might behave and how exhibitions will change. 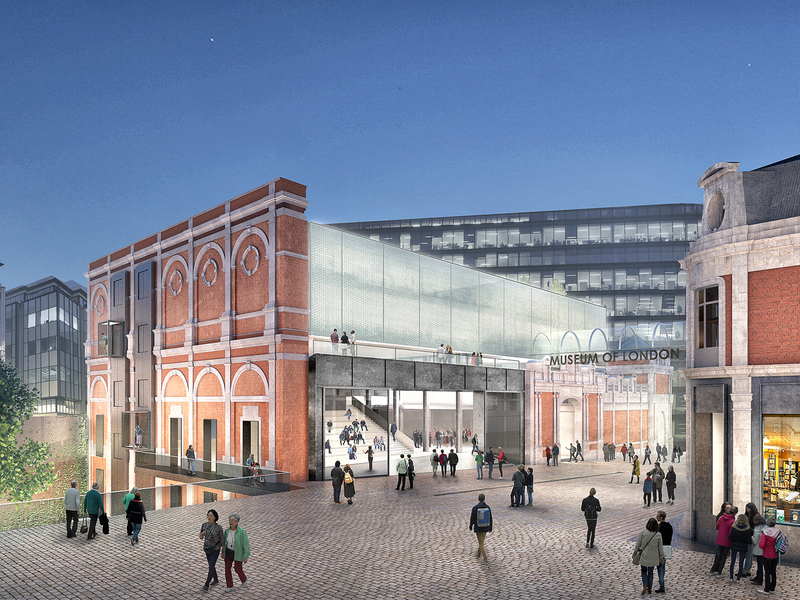 Six shortlisted designs have been unveiled for the new Museum of London, which is uprooting from its City Wall location to West Smithfield in a bid to double the number of annual visitors it receives from one million to two million. The architects were asked to balance the history of the site with the museum’s ambitions and a look that embodies London. The designs will now go on display at an exhibition held at the Museum of London from 10 June to 5 August to engage the public. Key to the project will be integration with existing infrastructure including Smithfield General Market, the Fish Market, Victorian cold store the Red House and triangular one-story building the Engine House. 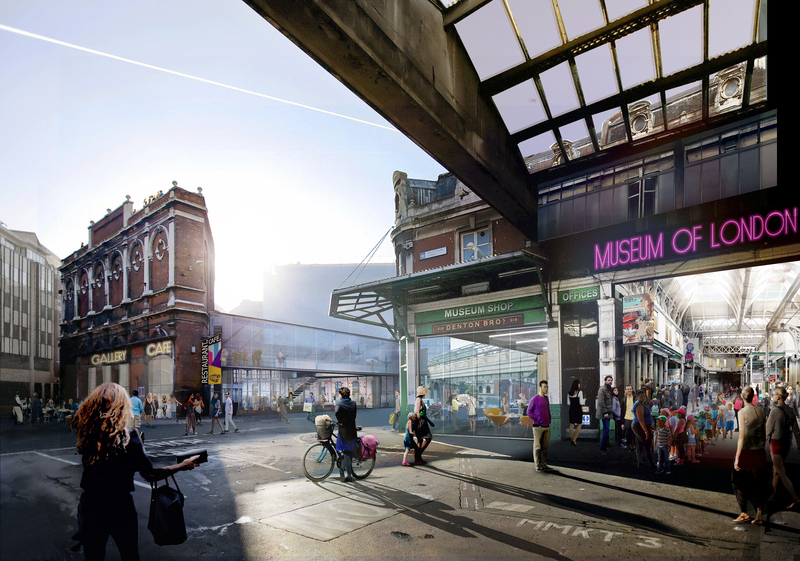 Museum of London director Sharon Ament says the area has a “visceral quality” and is a working part of London, so the new Museum needs to play to these qualities. “Thus having a working train-line running through the basement is a real opportunity and of course we plan to keep the wonderful references to the previous uses and lives of the spaces that we will inhabit,” says Ament. 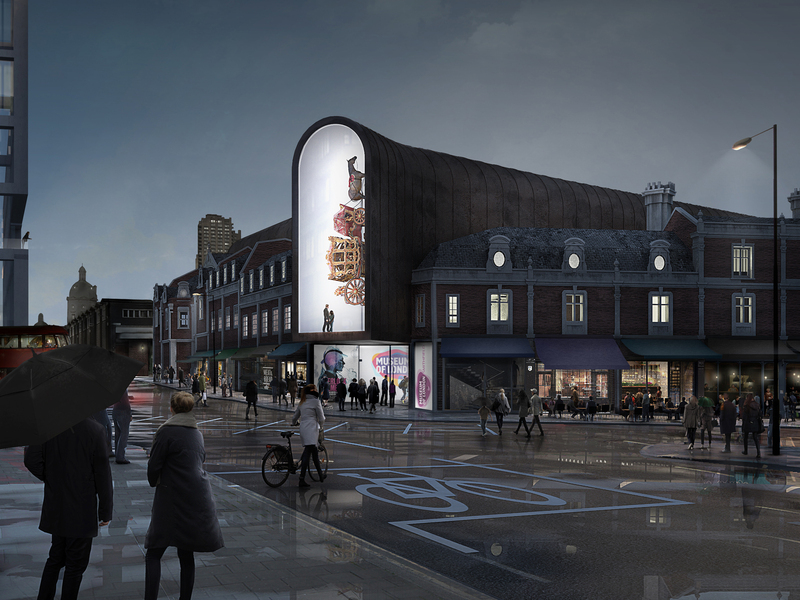 As the museum will occupy a former market site, this gives rise to the possibility of many entrances. “A market is constructed as a place for people to come and go and we want this quality to permeate our new museum. We are thinking about thresholds. When you care for and have six million objects, you need to ensure that they are safe and in good environmental condition, so inevitably as you go deeper into the museum, controls will need to become stronger,” says Ament. 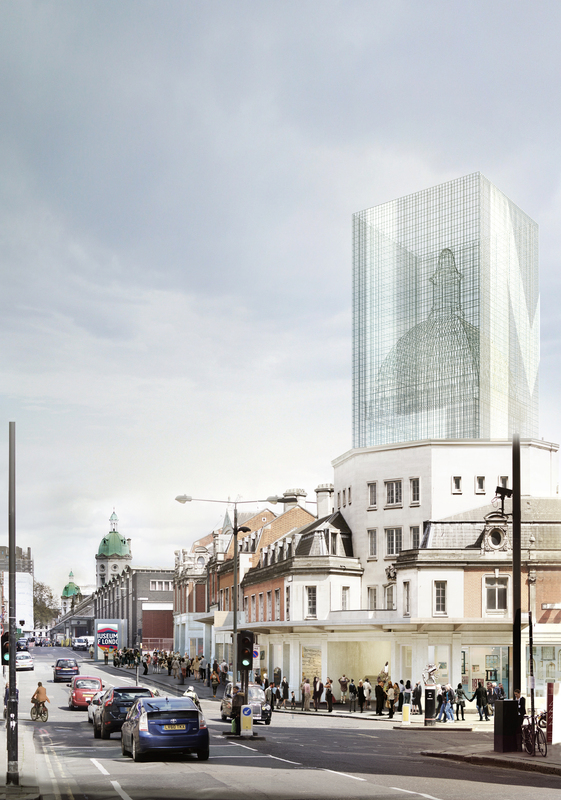 The new museum will operate in “different modes” at day and night, reflecting London’s 24-hour environment, and this will have implications for the design, she says. With school children and adults visiting at different times the museum will “flex to accommodate their needs” and “provide totally compelling content” says Ament. Designers could benefit from sub-briefs as there are plenty of interior spaces and services to be designed. One of the problems with the current site is that many of the collections never see the light of day but at the new site there will be more space to play with. 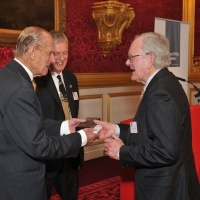 “Just a few years ago we brought out our Cheapside Hoard collection, which had never been on display. The 135,000 visitors to that temporary exhibition shows just how compelling these collections are,” says Ament. 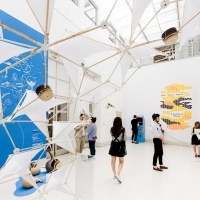 All sorts of exhibition design opportunities could arise for designers. The special exhibition space will increase from its current 750m2 area and more than double in size. “The gallery spaces will be significantly increased but it’s not all like-for-like – you start to think about new sorts of spaces that will be added, such as Research Centres.